Gothic style. Bound in 925 sterling silver, this striking Laban Maya edges towards the darker reaches of fountain pen design. 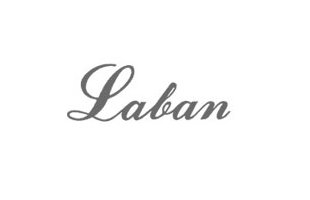 The cigar-shaped profile is one preferred by connoisseurs of fine writing instruments, whilst an intricate inset in the cap marks out Laban's knack for fine details. Fitted with a durable iridium-tipped nib, it's sure to bring years of writing pleasure, not to mention mark out its user as one with an eye for bold, original designs. Joli stylo conforme à la photo mais le corps est en plastique très léger et semble peu robuste. Le pas de vis était déjà faussé avant usage. Bof bof, pour le même prix, on peut trouver nettement mieux. I knew it would be because I bought my wife a Laban years ago...but this one surpassed my expectations! Just what I wanted, it's fab. I absolutely adore this pen - I use it for everything! Beautiful looking pen, good nib. Very happy with price and quality. A lovely and unusual design. Large size makes for comfortable and prolonged writing without fatigue. Because of their wide range of designs I now have three Laban fountain pens and have purchased other writing instruments for friend. This is a beautiful pen reminiscent of a previous age. The broad nib I have on it is fantastic. It outperforms my custom ground B nib on my Montblanc 146! However, my impression of this pen initially is reflected in the rating I have given above. I know the recipient will feel the same. In addition the service provided by Pen Heaven cannot be faulted. I had questions, used email and had an instant response from them. A person not an automated computer. I am quite happy getting this pen, it is nicely crafted and all around good quality. The only critique I have, mind you this is purely subjective, is the nib. It is smooth and writes very well, but it is stiff and hard as a nail. If you like that, get this pen. If, like me you prefer softer nibs, well you get an all around good pen, but with a very stiff nib. Fountain pens with a broad nib seem to be few and far between. Having a somewhat exuberant hand, I really prefer a broad nib, and this suits perfectly. I purchased the converter at the same time so that I can use my favourite Herbin ink. Great Looking pen and have to try using it yet. Great delivery and service. Thank You. I love the feel of it in my hand and how it writes but still not sure that I shouldn't have chosen a more feminine pen. Friends have admired it - it looks stylish and expensive - and it takes a standard short cartridge, which is great. Altogether a good purchase. Bought pen as a 60th birthday present, it arrived promptly and exactly as described, would recommend. First of all, I must say the service and delivery were top notch. Well packaged (and two orders packaged together), and arrived in perfect time. The pen itself was bought as a wedding gift, and it is fair to say the recipient loves it. It writes easily and smoothly, very even. It's a bulky pen, fairly weighty, but still very comfortable. Bought as a 60th burthday gift for my sister in law, this pen was an immediate success. It's slightly unusual, almost colonial appearance, pleasant weightiness and balance in the hand and chunky good looks have been admired by others too. It is easy to grip for stiffer joints. The design is classic and will never date. I want one too!